How to load a handgun might seem really simplistic for those who have been shooting for years and years, but it can be really intimidating for newbies starting out.Especially out on the range; no one likes to look stupid and worst do something unsafe. Too many experienced people breeze over this when they are showing someone new.If you get one step out of order, the results can be extremely bad. Make sure you pick up the weapon with your firing hand and lock the slide back with your non dominate hand. 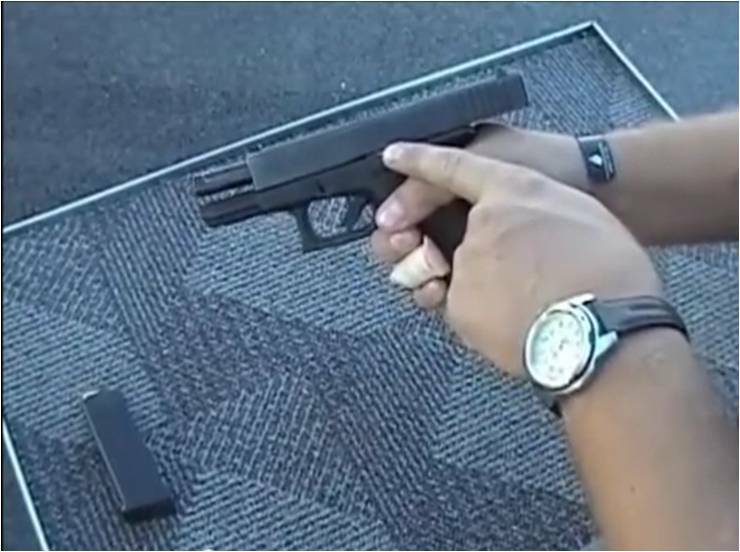 Make sure the rounds are seated properly with the finger of your non firing hand. I was trained to use the slide release to let the slide go forward. I am trending now to simply pull the slide back. This seems to be a more natural movement. (Not mentioned in the video) Make sure weapon is on safe if it has a safety. Release magazine, make sure your non firing hand has the magazine under control. Pull and lock the slide to the rear, don’t get fancy and try to catch the round. Inspect the chamber and put the gun down. Always remember the 4 Rules of Gun Safety. Be deadly serious! Make sure you watch the video. You might pick up something even if you have been shooting since beginning of time. Do you have any tips or techniques for loading and unloading a semi auto? Let us know in the comments.